We accept Visa, Master card, American Express and Discover cards. Pay pal, Cashiers Check, personal check, business check or Wire Transfer (e-mail for instructions) in US funds only. Use the contact us page and send us an inquiry with your contact information and one of our sales representatives will be happy to assist you. Call us toll free 1-800-445-0412 or internationally at 001-954-927-6639. Our office hours are Mon-Fri from 8:30 AM to 7:30 PM and Saturday from 10:00AM to 2:30 PM you are also welcome to leave a message. We accept fax inquiries 24 hours a day, at fax number 1-800-445-0421. It is important that you include your name, the model and size of building you are interested in, the location the building is going to and a phone number and/or an email address to contact you. 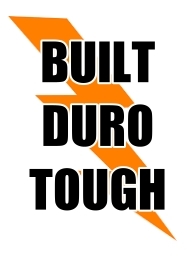 E-Mail us your inquiries at sales@durobuildings.com It is important that you include your name, the model and size of building you are interested in, the location the building is going to and a phone number and/or an email address to contact you.